New Cuba, MO Mural Begins Tomorrow! ← Gallery Widelux Photo Addition! 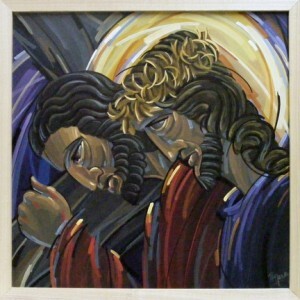 The First Two Paintings in the “Stations of the Cross” Series is Exhibited at The Art Center in Washington, MO. The first two paintings in my “stations of the cross” series was premiered yesterday at The Art Center in downtown Washington. The Arnolds have put together an excellent collection of various artists’ works for this years show. The show runs until April 30th. Check it out! Shown here are stations 5 & 13. 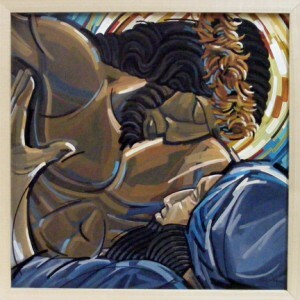 One Response to The First Two Paintings in the “Stations of the Cross” Series is Exhibited at The Art Center in Washington, MO.